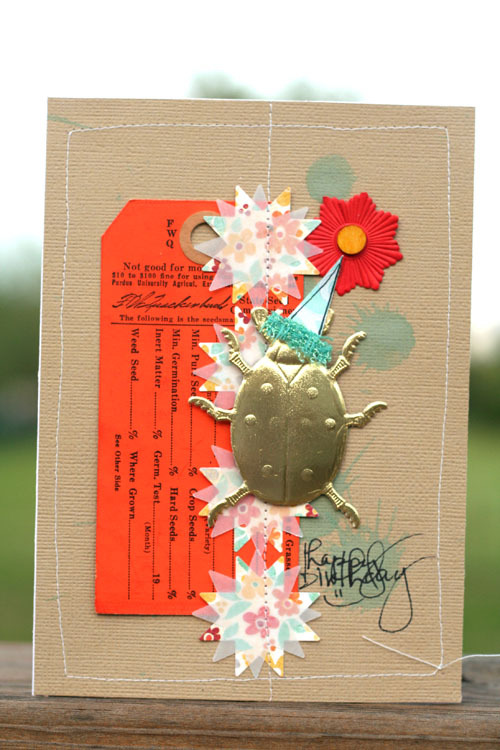 jbs inspiration: Happy Buggy Birthday Jenni! Totally cute! A bug with a party hat?! Amazing!! Wow! What an awesome card!! 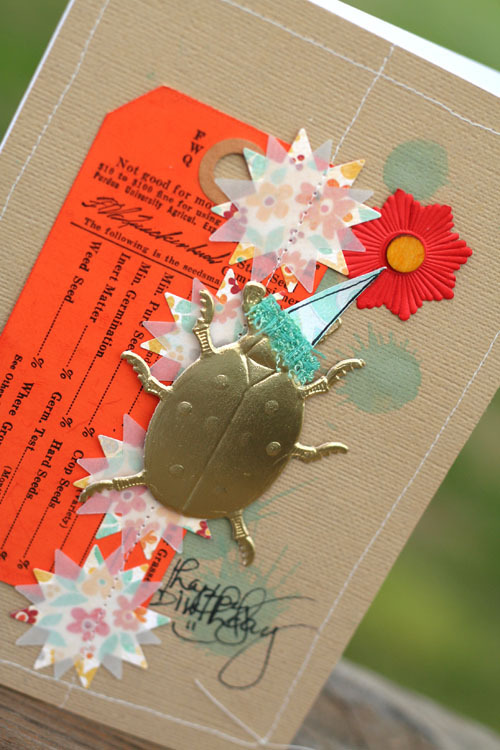 "Happy Birthday Jenni"
Oh I love this card Doris...Those splats are perfect on a bug card...love how you put the little party hat on the bug...So cute!! you are so darn clever! I LOVE this card!!!!! The little beetle is so unexpected and I LOVE the color combo! Fantastic! !